If you need a passport expedited just hours before traveling overseas, It’s Easy Services is here to help. The company offers assistance for those last-minute emergencies right before you travel, including helping you get a passport as quickly as possible. Those services are available in a variety of locations, including at It's Easy's 24-hour/7-day service at the Hotel Desk on the ground floor of Terminal 4 at New York’s John F. Kennedy International Airport, as well as at 30 Rockefeller Plaza in New York City. Accidentally drop your passport in a mailbox at the airport? It's Easy Services can help you out. Or, let’s say the airline refuses to let you board because your passport expires while you’re in Europe, which is a major travel faux pas as well. It's Easy can help resolve the situation. Or perhaps you've left your passport in your onboard plane bag and it’s been stolen. If you're traveling through JFK you can get help quickly, letting you avoid having to cancel the trip altogether. David J. Alwadish, CEO of ItsEasy.com, offers the following scenario as an example: "If a traveler is turned away at check-in at 1:00 a.m. because his or her passport doesn’t have enough pages, the airline will refer the traveler to the help desk in Terminal 4. The desk will call me and I will tell the client when to reschedule his or her trip. I’ll pick up the passport at the airport, be there at the Passport Agency when it opens at 7:30 a.m., and have the passport back to the airport later that same day." It’s Easy Services' help desk also gets requests from business and frequent travelers who want to drop off a passport that needs to be renewed while on a trip in the States, and pick it up on the way home, figuring that it is an easy and convenient way to get their travel documents renewed in as short of time as possible. 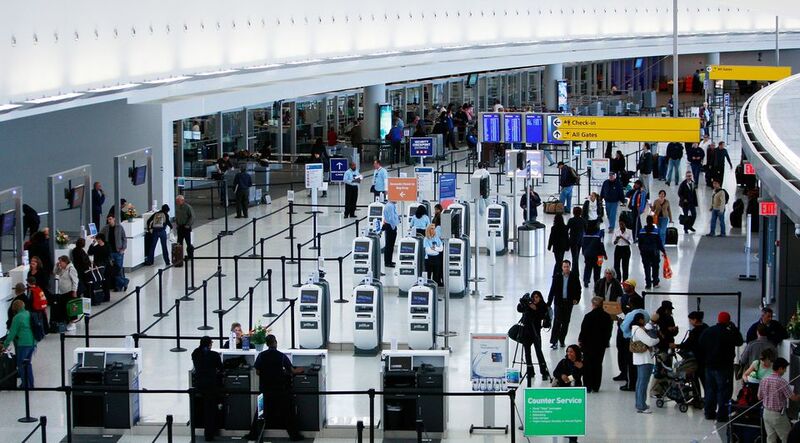 It’s Easy Services is located at the Hotel Desk on the ground floor of Terminal 4 at New York’s John F. Kennedy International Airport and is open 24/7. In addition to renewing passports, adding pages, or helping to expedite getting a new one, the desk can also assist in making name changes on the document as well. Additionally, It's Easy Services will assist travelers in obtaining visas for a wide variety of countries, including China, India, Pakistan, and Vietnam. As if that wasn't enough, the company can also assist you in getting your international driver's license, as well as a number of other DMV related services too. Additionally, if you're in New York City but not at JFK Airport, It's Easy also has an office at 30 Rockefeller Plaza on the Concourse Level. That office is open for regular business hours Monday through Friday from 8 a.m. to 7 p.m. and is capable of offering the same services that the airport facility provides. Those services not only extend to helping with passport issues and obtaining visas, but also acquiring legal documents like birth or death certificates, obtaining a driver's license, and much more. Considering that it can take a couple of weeks to get your passport back after sending it in for renewal, having the ability to expedite that process can definitely come in handy. You never know when the need might arise, and It's Easy is always standing by to lend a hand. If you should find yourself in a situation that requires their assistance, the important thing to remember is to not panic. The company has been handling these types of situations for decades, and they will definitely help you navigate your way through all of the hoops to get on your way to your dream vacation. For more information about the company, which has been in the business of expediting passports and visas for many years, call or visit It’s Easy Services.